So I started the process of learning to reload .223 ammo this week. This included, of course, laying out the cash to purchase all the extra crud I would need for these rifle rounds. 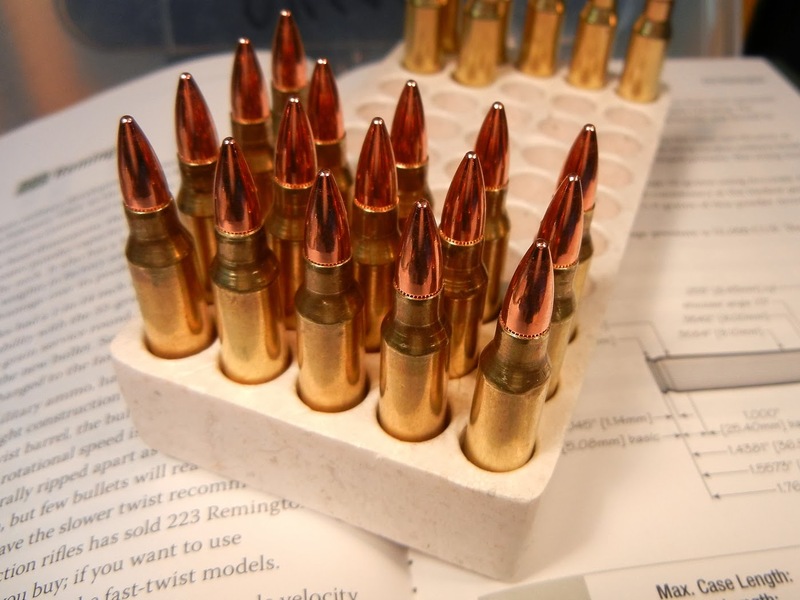 I've been loading 8-10 thousand rounds (a year) of 9mm and/or .45acp for some time. But rifle rounds are new to me. I needed to add the necessary stuff to my Dillon 550B to be able to start the project. So I got the Dillon .223 caliber conversion kit (shell plate, decap & resizing die, bullet seating die, and crimping die). I got two new tool heads so I could recap and resize quickly without the brass having to pass through the other dies before the necessary case prep work. I also got the Dillon Super Swage 600. It's an expensive tool, but it works really well and quickly to remove the crimp from the primer pocket of each case. Of course, I needed a Dillon .223 case gauge as well. For case prep (de-burring, chamfering, etc) I bought the Lyman Case Prep Express. It's well worth the money. It saves a lot of time. The other time-saving tool is the World's Finest Trimmer. That contraption works great. - insert the toolhead with the powder drop, bullet seater, and crimper dies. Viola! Here are my first 20 or so rounds. Now I need to head to the range and make sure these work so I can load a bunch more.